I am a bit behind on getting things ready mainly due to work commitments, but I am aiming for mid April. The cost for the card will be £26.99 + shipping, which last time was £7.50 for worldwide with tracking (where possible). When I am ready for real orders my main website will be updated with an order page. I have only 25 boards on this run, and half are already allocated. 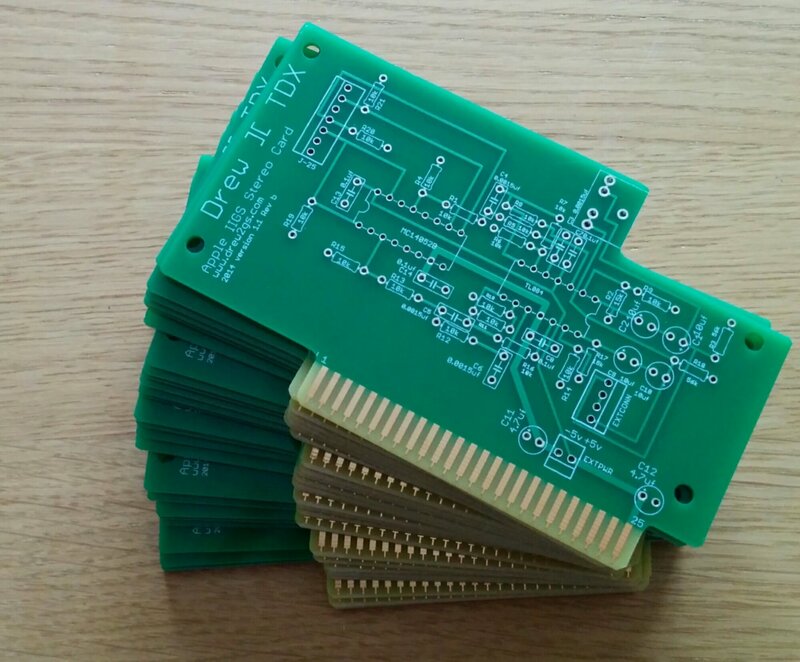 Just a small update to say I will be looking to do another run of the Drew ][ TDX stereo board within the next couple of months. I am just currently looking at current costs and what parts I will need. I will be looking to offer bare board and completed cards. I am not sure of the quantity yet, but most likely something between 25 and 50 boards. 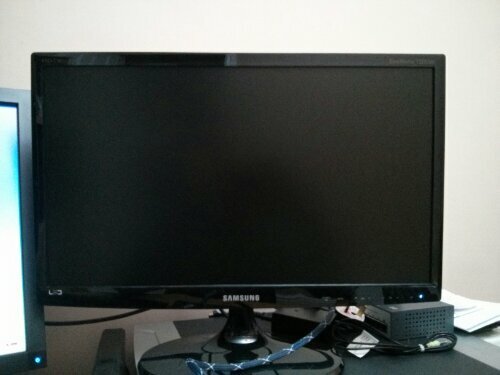 I decided to replace my 2nd monitor (T200 HD) with something that could do full 1080p. 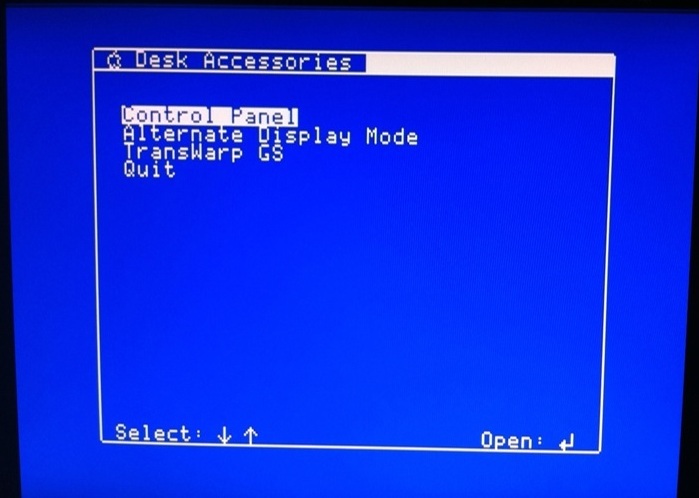 Now when I last did a search for a LCD monitor that could do IIGS RGB via scart it was quite a hit and miss affair, depending on manufacture or model of screen. 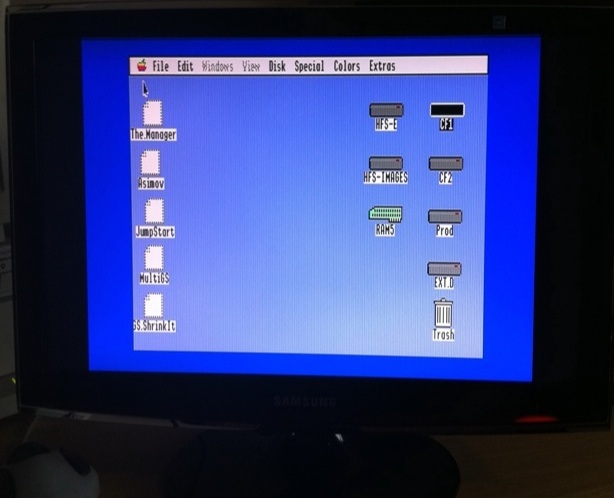 More recently I had noticed that the new Samsung screens tend to have no issues with a IIGS. 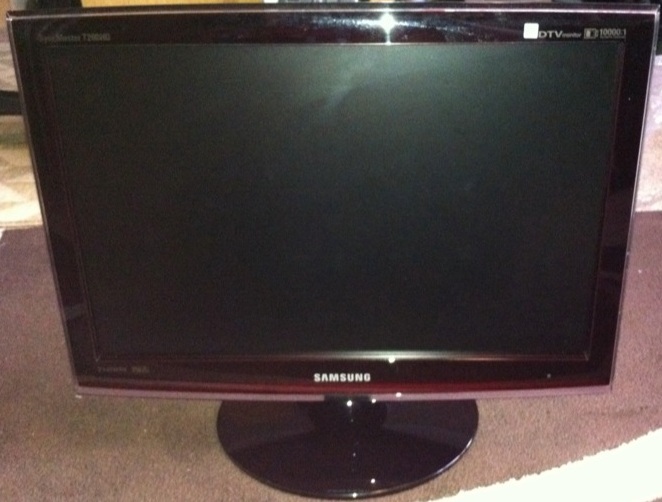 My large 50inch LED and my previous 40inch LCD had no issues, just a bit big ;). 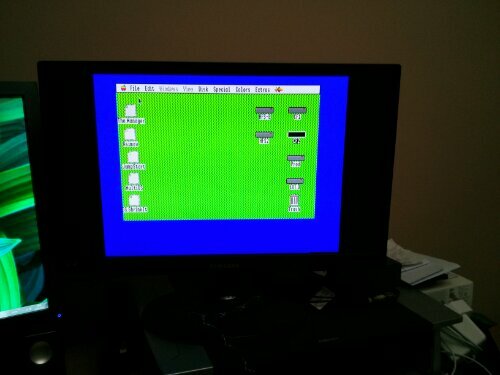 I picked up the a Samsung LED 22inch screen with Scart, HDMI and VGA and all worked fine. I will post some pictures shortly. The only small thing I have noticed it every now and then it flickers like its trying to sync. I will post some pictures soon and see if changing the sync pin makes a difference (similar to what i did in the T200 HD post). 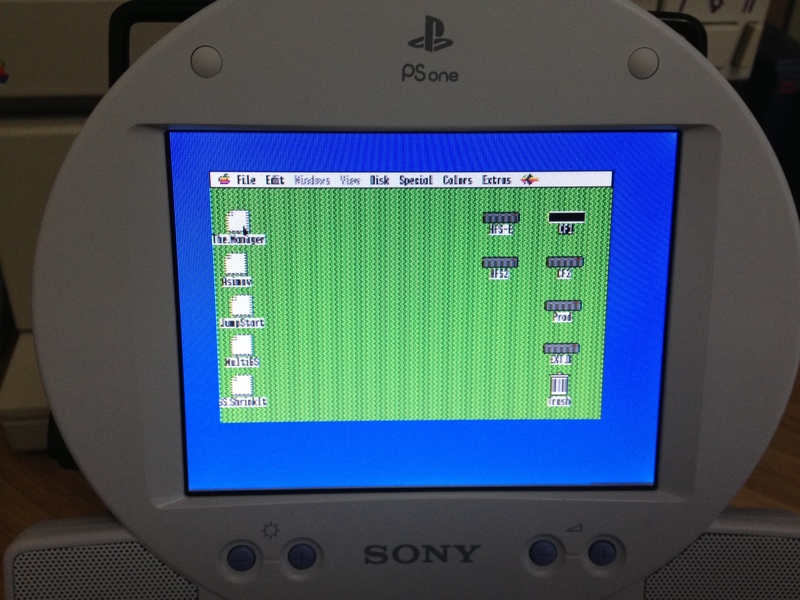 One little project I have wanted to do is convert a Sony PSOne LCD for use with a IIGS. 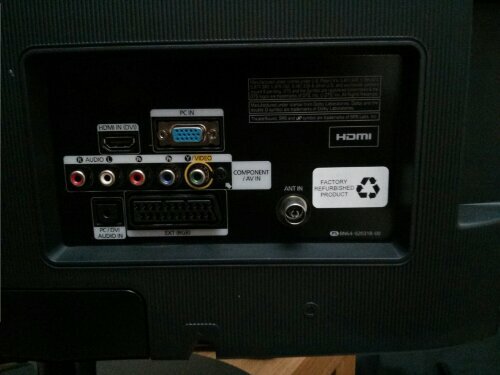 Now anyone that knows me here in the UK knows I am a little obsessed when it comes to smallish TVs and RGB Scart. 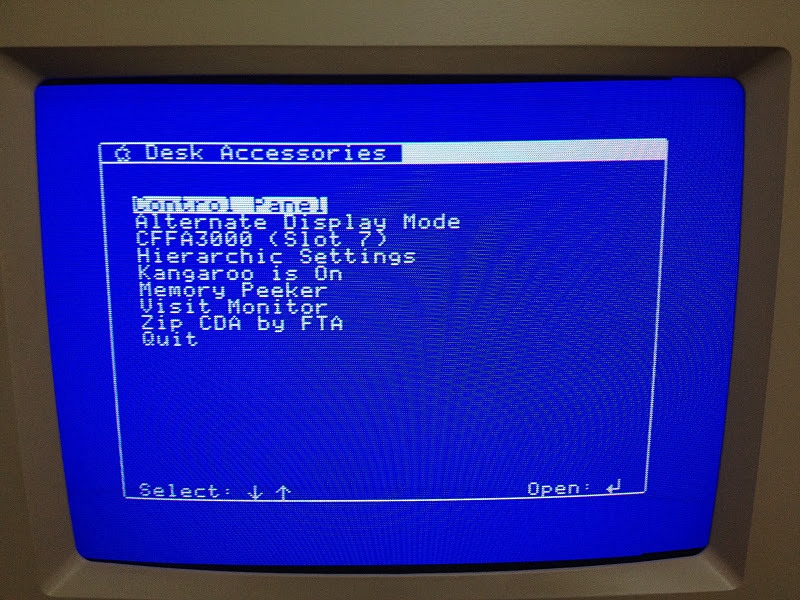 I always look at them as possible IIGS monitors and have posted some of the ones i have found on here :). 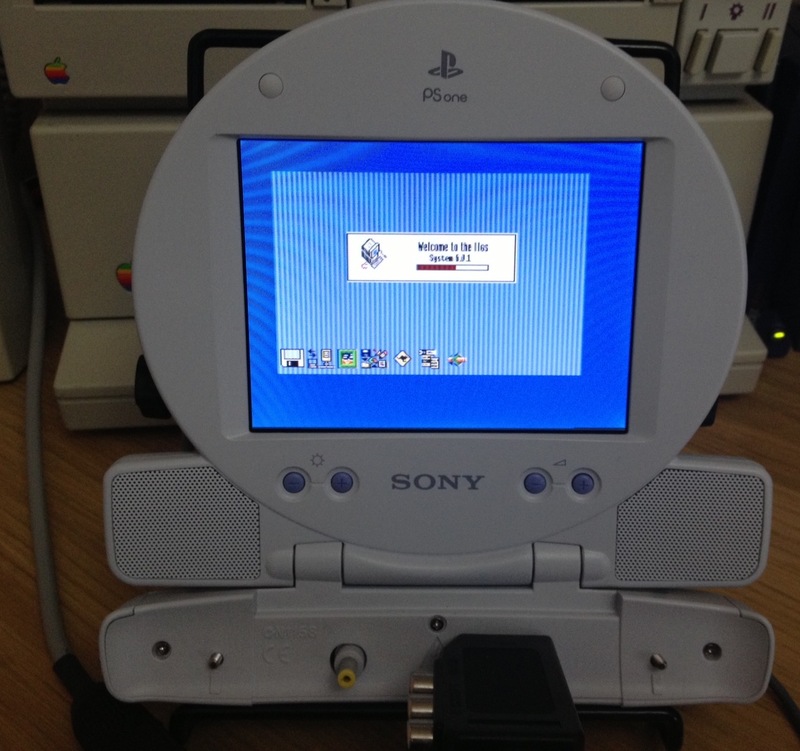 It wasn’t until reading this article http://www.assemblergames.com/forums/showthread.php?33365-PSOne-LCD-to-SCART-adapter that I actually picked one up as it meant the PSone LCD didn’t need to be opened up…my perfect type of project :D.
I was using a PAL version of the LCD and you need a Sony MultiAV cable which you can cannibalise with a female Scart adapter. 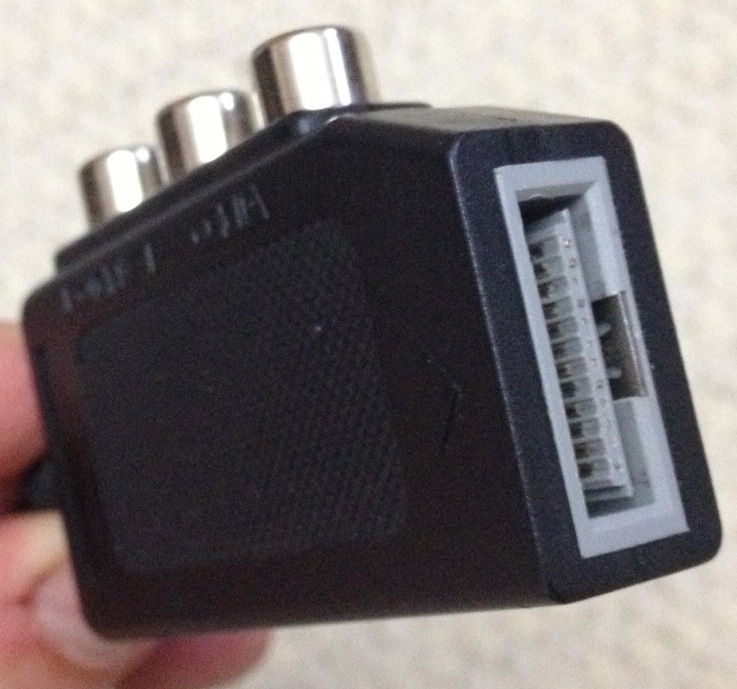 Obviously this assumes you have either made a Scart cable up or bought one from http://vintageware.orconhosting.net.nz/scart.html. 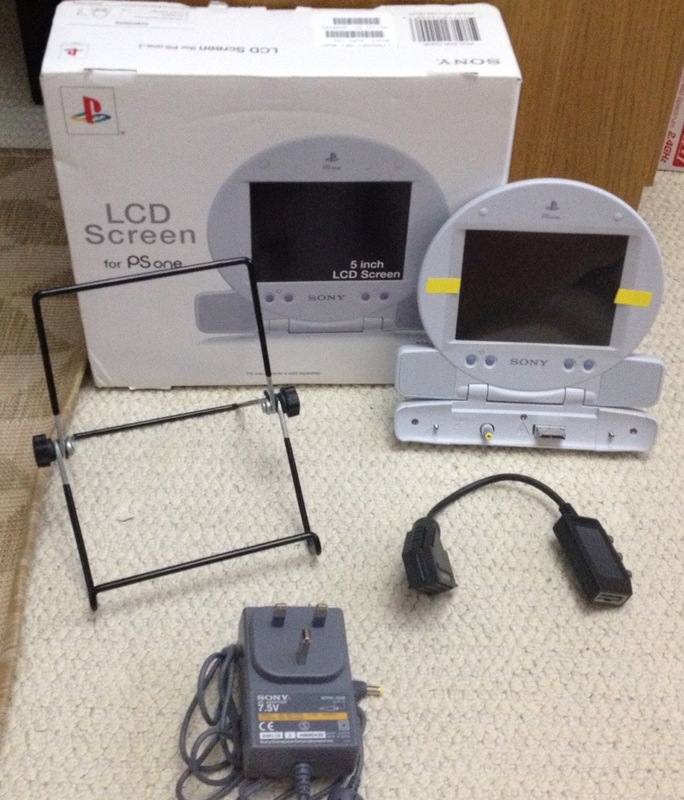 Sony PSOne LCD with PSU- £30 ebay…they vary though. 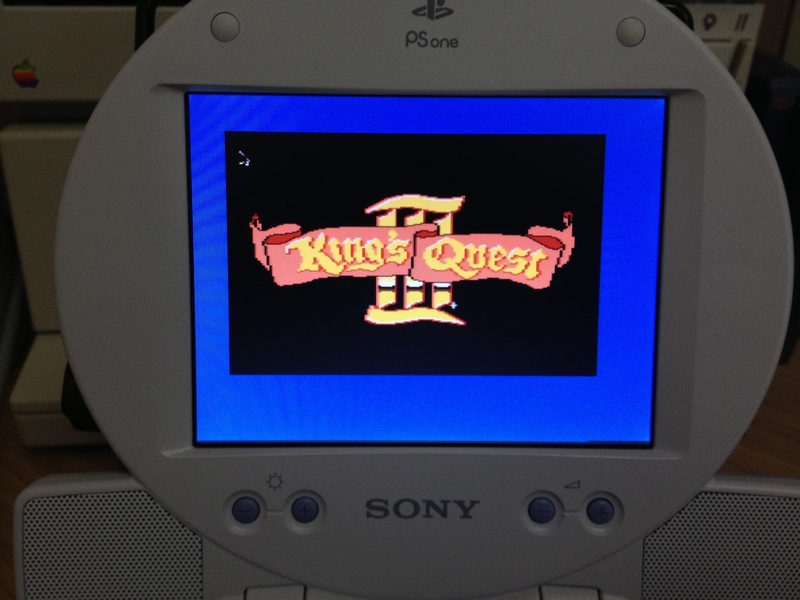 Anything that is 320 by 200 looks good on the little screen, as the resolution of the LCD isn’t too far off that. 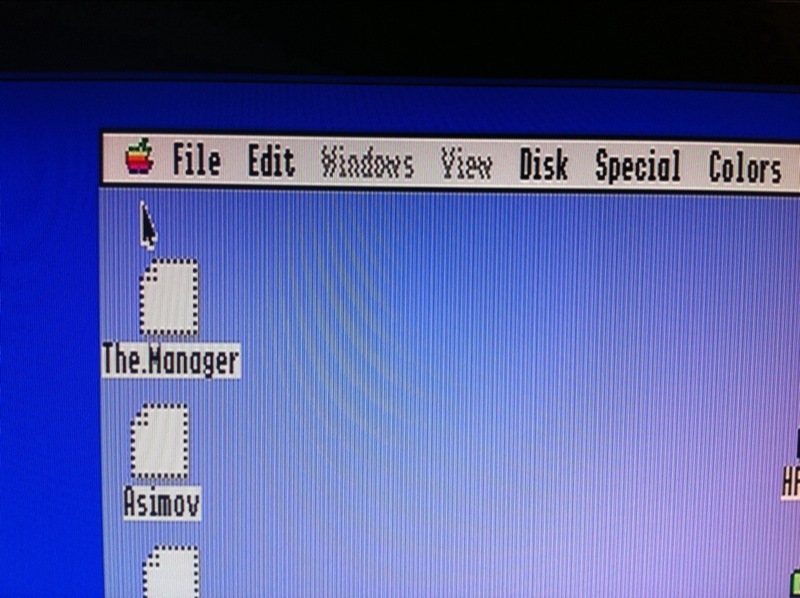 GS/OS as you can see suffers, but its still very usable. 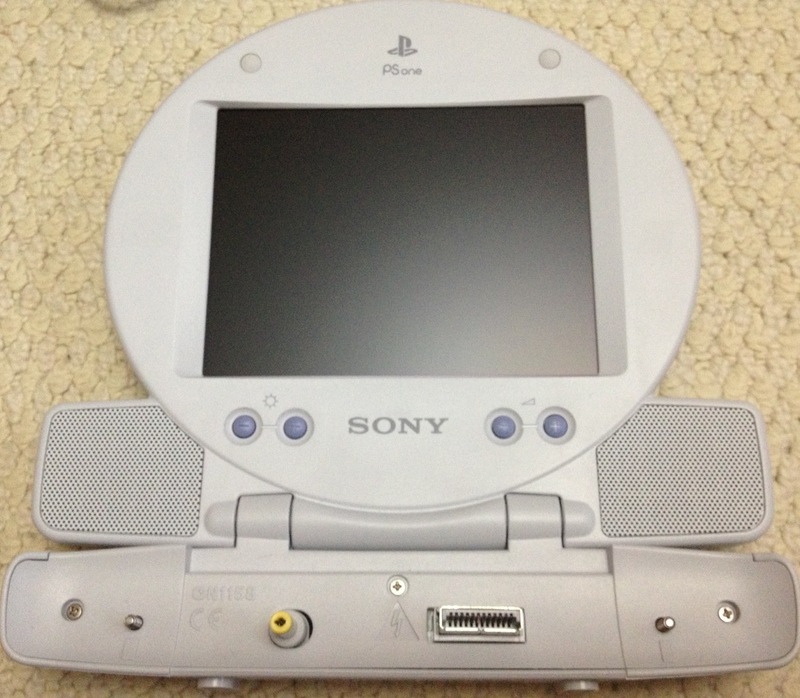 You will also get mono sound via the default cable, but I plan to modify the cable to allow connecting a stereo cable to the scart socket. Well on friday my CFFA3000 cards turned up :). Now for anyone who hasn’t been aware of these cards the official site is http://tinyurl.com/3cmqb. Rich has been producing the CFFA (in a few revisions) since 2002 and I have several of his existing cards. 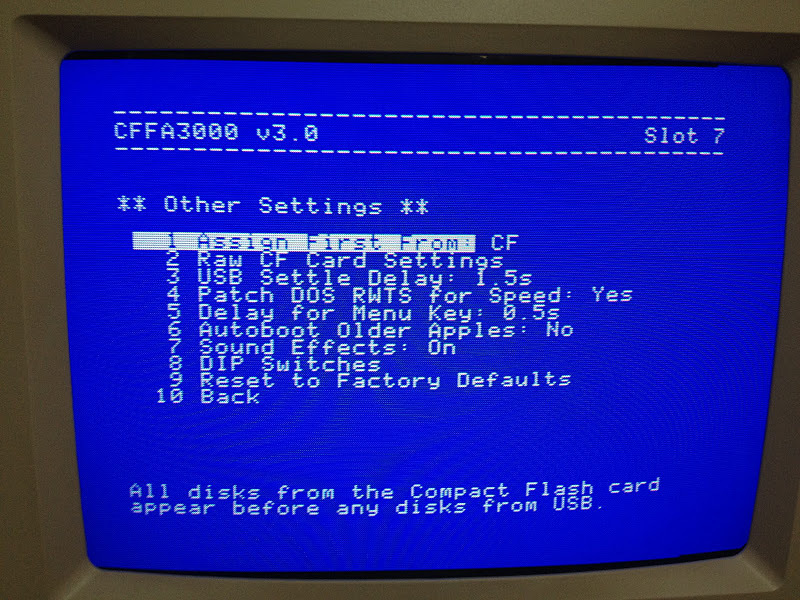 The original CFFA 1.2/1.3 and the 2.0 allowed a Apple II user to use an normal IDE HD or a CF Card to act as a HD to the host machine (utilising several 32mb partitions as well as 2 x 1GB with a driver). 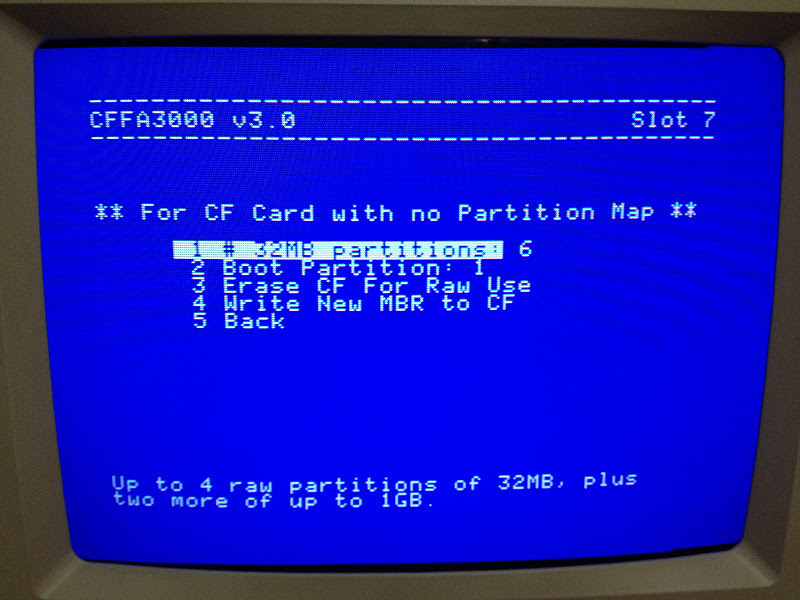 Now there are other cards similar to the CFFA i.e MicroDrive, but Rich with its primary focus on CF and pricing made the CFFA more attractive to me at the time ($99). 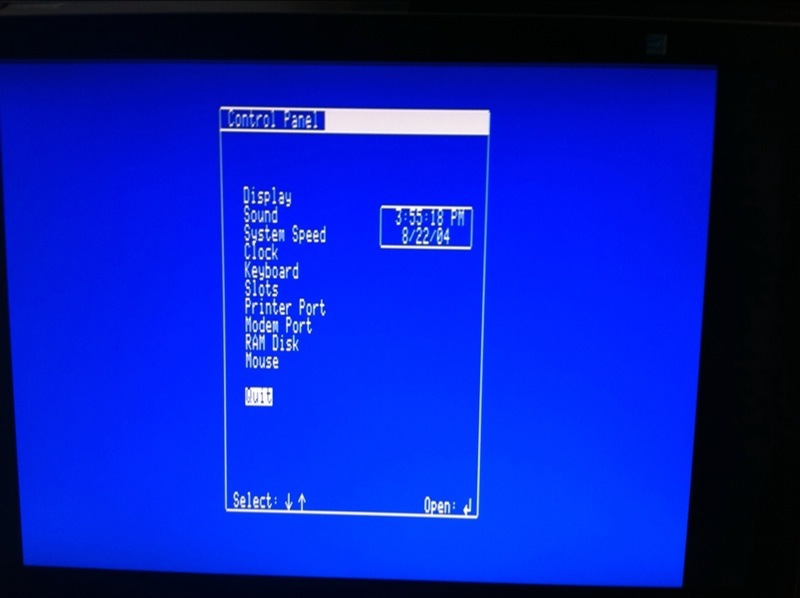 This provided a whole new way to use my GS and using Ciderpress (http://ciderpress.sourceforge.net/) for Windows allowed me to backup and convert my real GS to 2mg files for use in emulators. In 2009 Rich announced the new CFFA, and when he announced what he was trying to do with this card I knew I would have to get one. The card has surpassed what i was expecting. 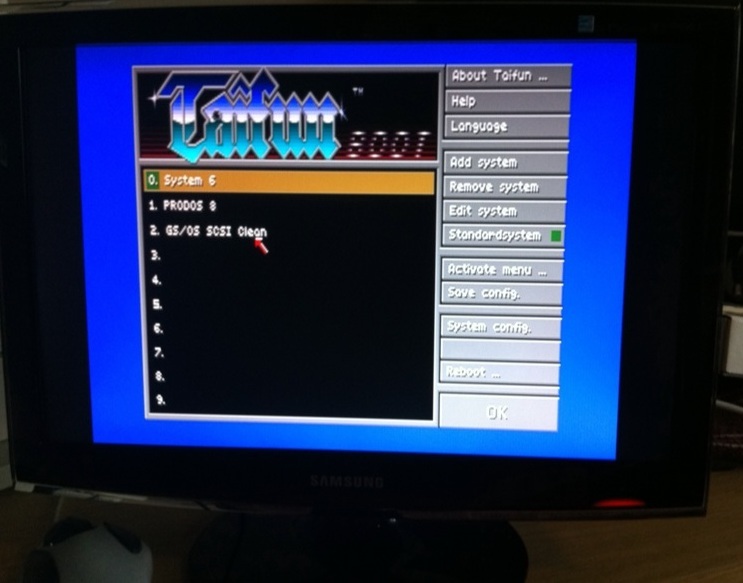 This new revision is extremely well polished, with a nicely featured and easy to use boot menu that is also accessible via control panel, and bridges the gap between real GS and the emulator world. 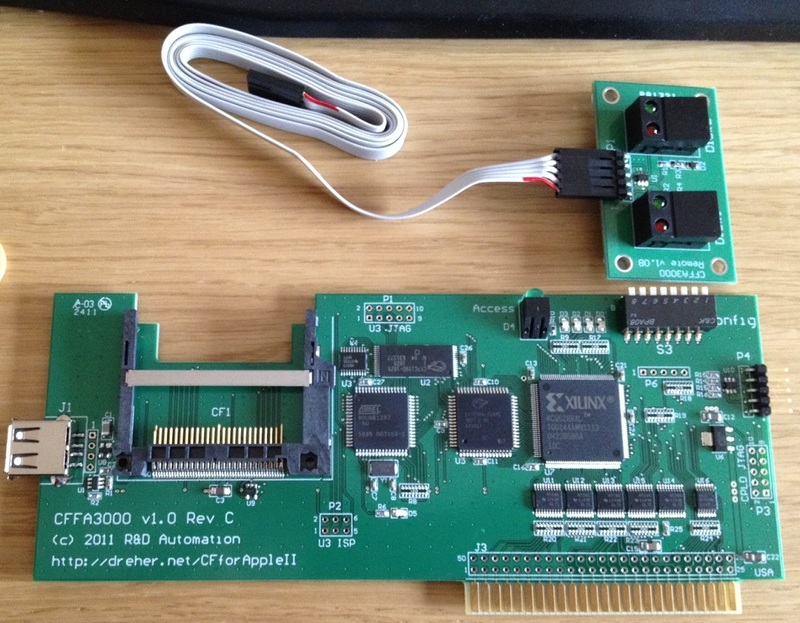 Unlike the previous cards the new one has removed the IDE connector and its been replaced with a USB port. 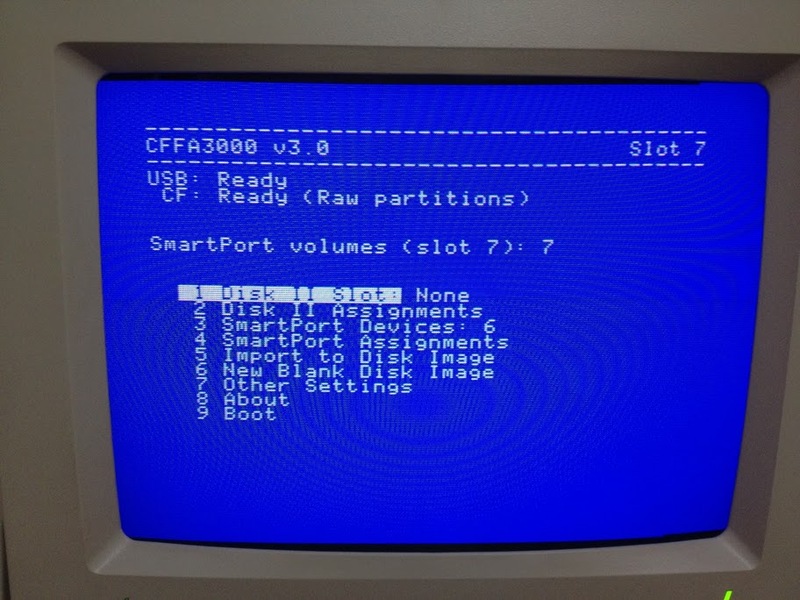 In a nutshell the CFFA3000 lets you use pretty much any disk image in an Apple II as well as still supporting the raw partitions from previous CFFA cards. 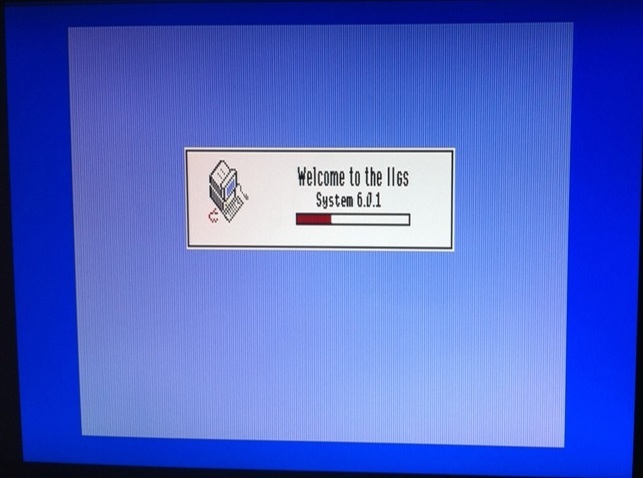 The card can be configured to offer both SmartPort Devices as well as a virtual Disk II. 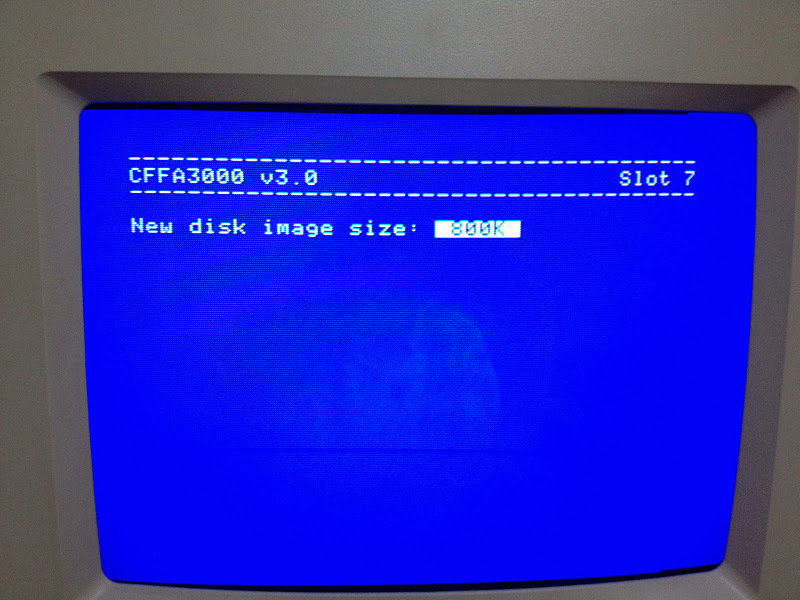 As a test I took my existing CF that had 6 RAW Partitions which contains 4 x 32MB (Prodos) and 2 x 1GB (HFS). 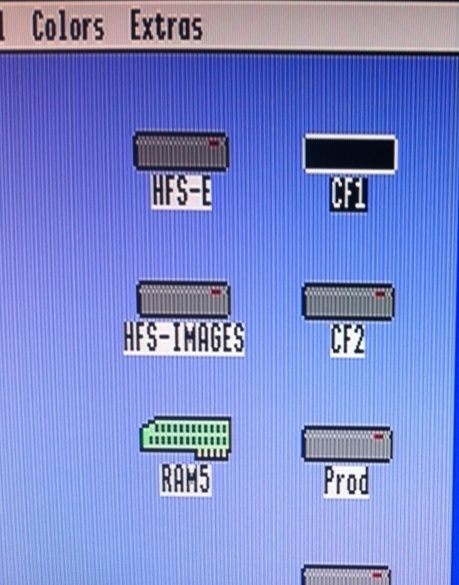 I then used Ciderpress to make 6 image files (2mg) and copied them onto a FAT32 formatted 4GB CF (can be FAT16 as well, but not FAT12 or NTFS). 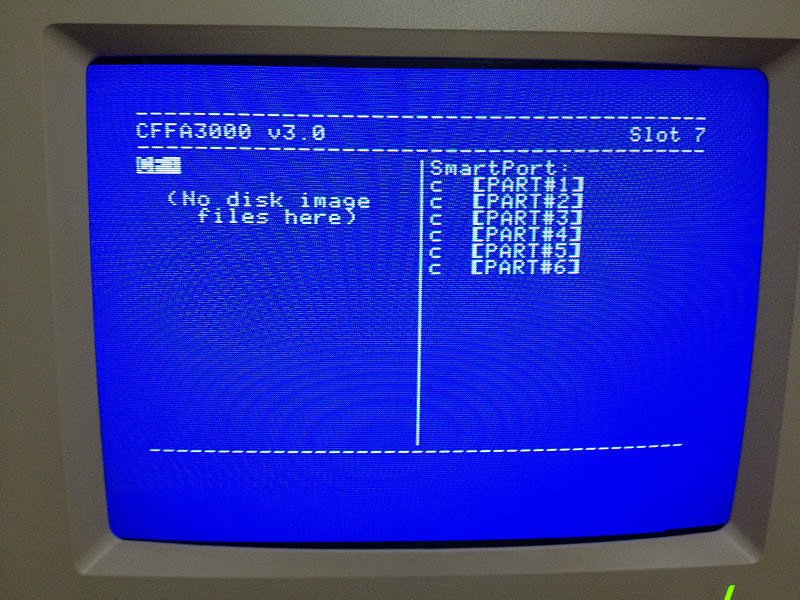 Using the boot menu i assigned each image to a SmartPort and the system booted exactly like my original CF, but now with more flexibility :). Doing so uses up the physical slot of the card itself as well as another slot virtually (must not contain another card, well one that interacts with the bus for example my TDX sound card would be fine as that uses the slot only for power). 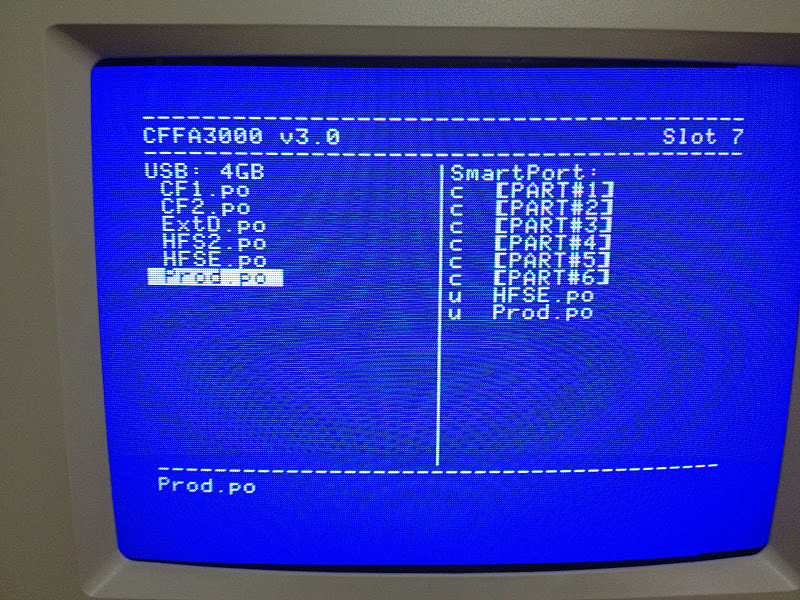 Another thing that is great to see on the card is that both CF and USB are hot pluggable and the card will detect and refresh the contents in the menu system. 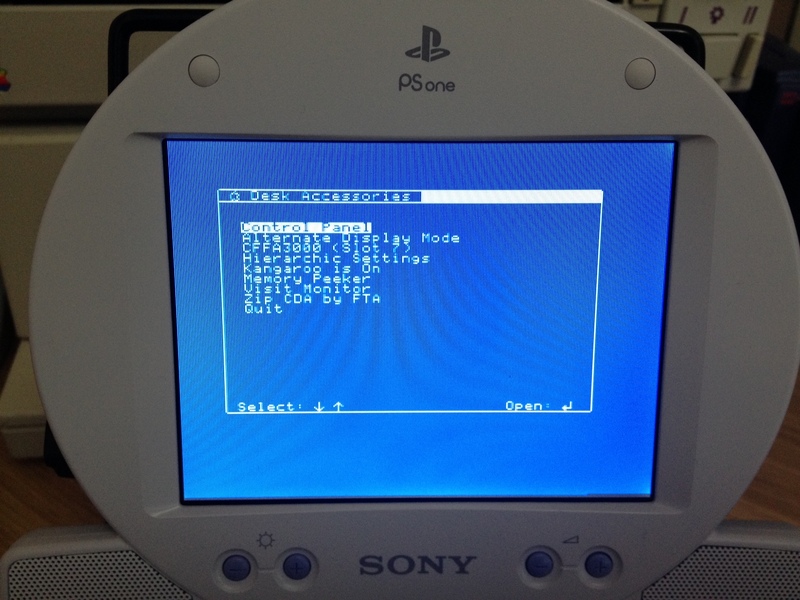 A double beep will notify you that the card has detected new media (On boot with both USB and CF you should hear a double double beep). 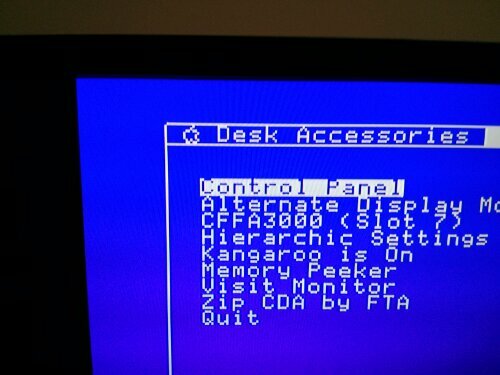 Some screen shots below of the menu system accessible by pressing “m” on startup of via the desk accessory. 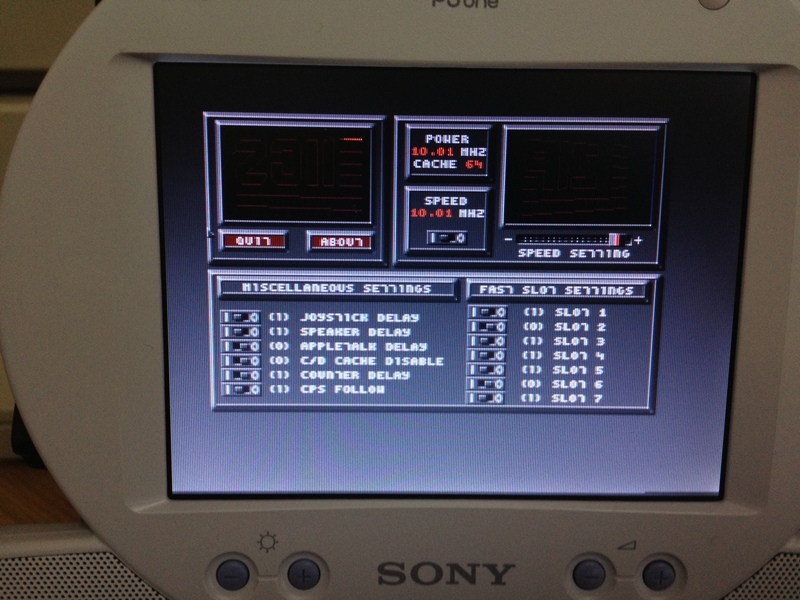 On disk assignment screens pressing space bar will flip between USB and CF listings. 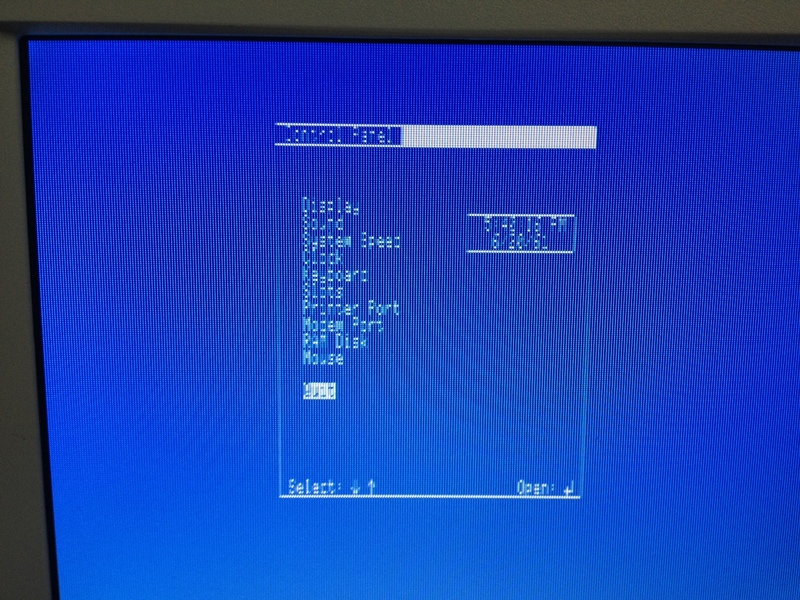 Also you can assign more than the standard 6 SmartPorts and you will see these in GS/OS. 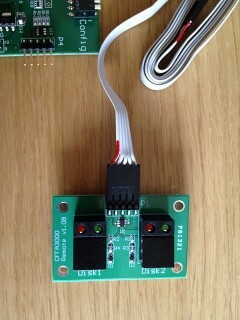 You will notice in the pictures an accessory that Rich is also selling called the CFFA3000 Remote & Cable . 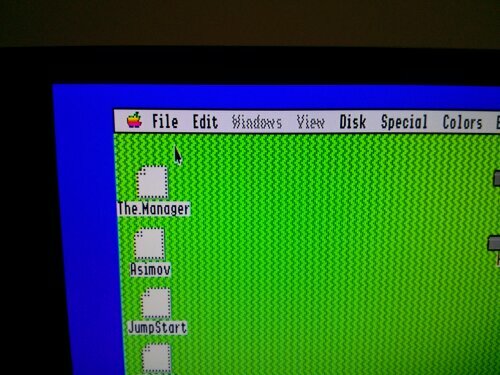 I have yet to use this as haven’t play much with the Disk II support, mainly as my GS is full of cards. 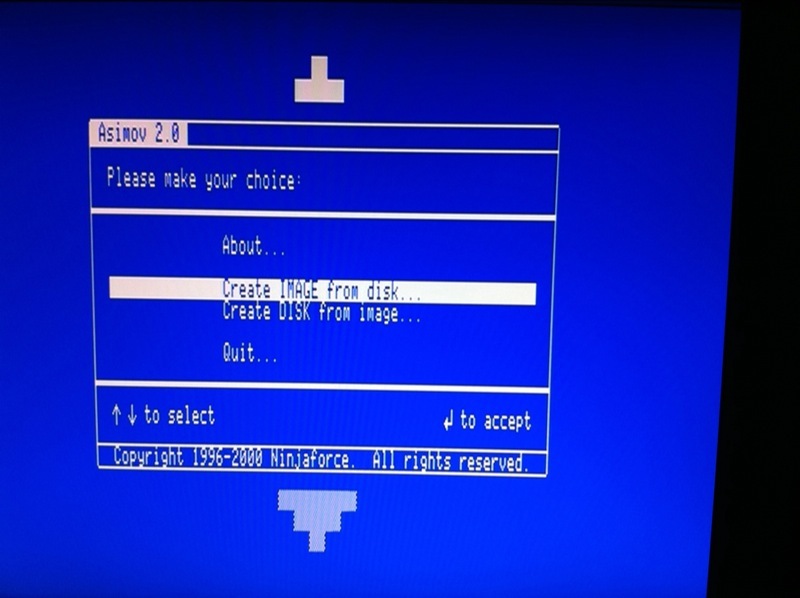 The board has two push switches that correspond to Disk 1 and Disk 2 and it can be used to toggle through sets of disk images. 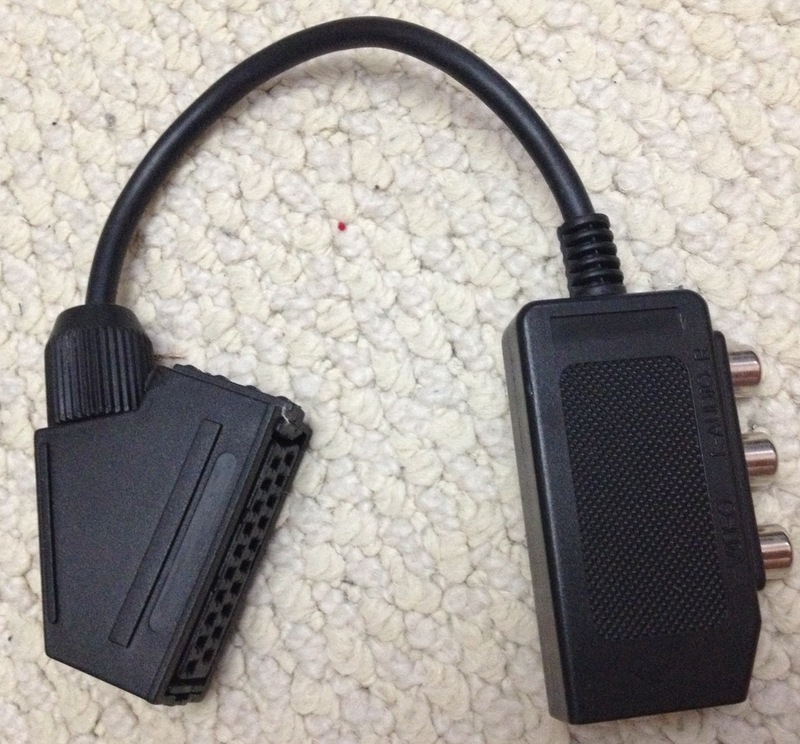 Now as anyone who has looked at modern alternatives to a monitor for the GS will tell you RGB Scart is the closest you will get in terms of native output, mainly due to RGB scart supporting 15Khz. Unfortunately this is only really available in Europe and Australia. 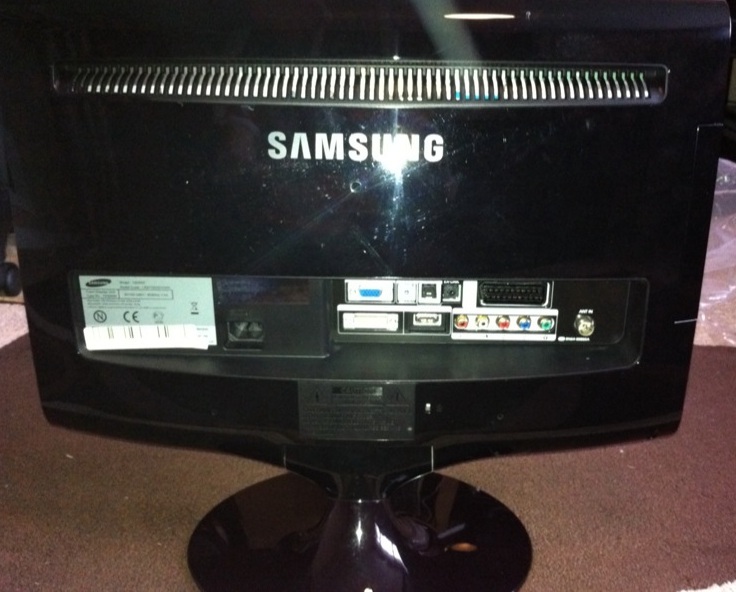 I have posted some pictures of the TV/Monitor as well as GS screen shots for anyone that is interested. 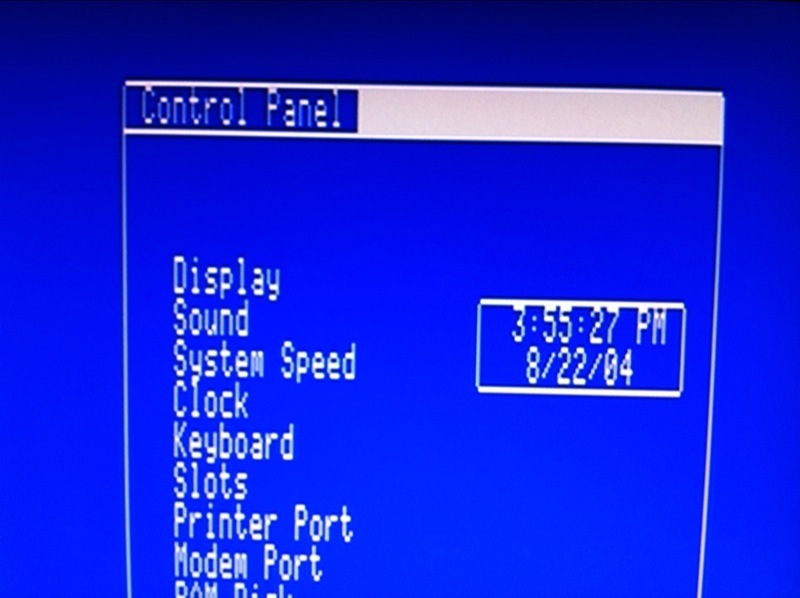 One thing to point out is initially though i got a GS output the LCD kept complaining that it had no signal, to resolve it i had to change the video sync to pin 3, which iirc is sync over composite (will update post when I confirm).